Columbus Day is one of the most misunderstood holidays in America. Sure, many people get a day off from school or work, but why? It has been a U.S. federal holiday since 1937 marking Christopher Columbus’ arrival in the New World in 1492, but, beyond this simple point, there are many facts that are not well known about it. 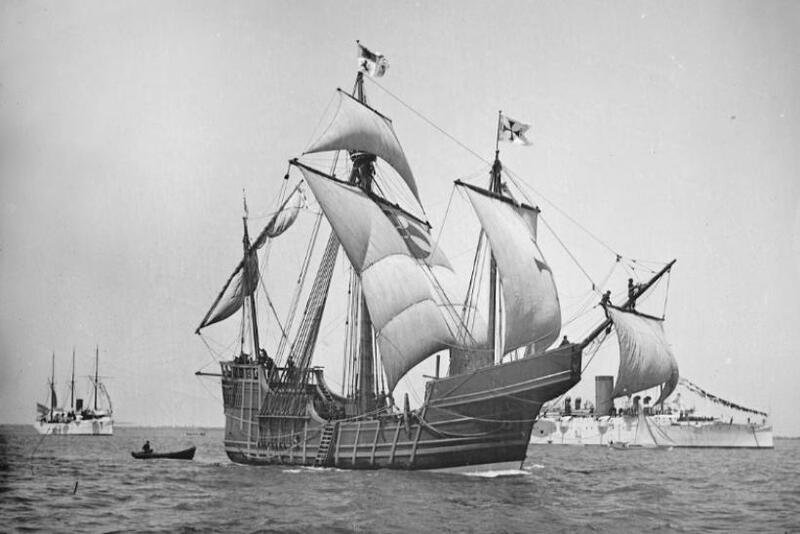 It’s widely believed Columbus was practically the only person who theorized the world was round and thought his ship would not fall off the end of the world if he tried to sail across the Atlantic Ocean, History.com wrote. However, most scholars in his day already knew the world was round. What people didn’t know at the time was that the Pacific Ocean (and the Americas) existed. As a result, Columbus thought the only thing in his way while sailing to the riches of the East Indies was the Atlantic, which gave rise to the disputed story that this is reason why he falsely labeled Native Americans Indians. After the Italian-born explorer first encountered Native Americans, Columbus wanted to enslave the indigenous people. “They should be good servants ... I, our Lord being pleased, will take hence, at the time of my departure, six natives for your Highnesses,” he wrote in his journal, according to the online site Understanding Prejudice. Some of the captives were later displayed on the streets of Barcelona and Seville when he returned to Spain. Even though Columbus has been condemned by some for apparently directing violence toward Native Americans, U.S. President George W. Bush issued a proclamation Oct. 9, 2002, celebrating “Columbus’ bold expedition [and] pioneering achievements” and directing “the flag of the United States be displayed on all public buildings on the appointed day in honor of Christopher Columbus,” as reported by Understanding Prejudice. Since 1970, the holiday has been celebrated in the U.S. the second Monday in October. The U.S. isn’t the only place the Italian mariner is honored. Columbus Day is also celebrated in Latin America (e.g., Argentina, Belize, Uruguay), the Bahamas and Spain. The holiday goes by a different name in some of these countries, but it celebrates the same event. Columbus Day has been protested since the 19th century, History.com wrote. In more recent years, Native American groups have opposed the celebration because it indirectly led to the death of millions: European settlers brought infectious diseases with them, such as influenza and smallpox, which infected indigenous populations. And, in addition to enslaving native people, Columbus also allegedly punished them via torture.